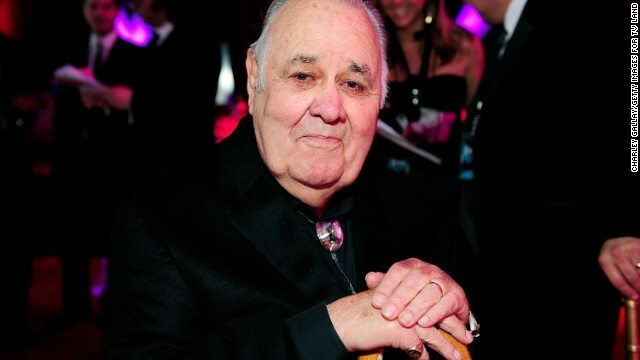 Jonathan Winters passed away of natural causes at his Montecito, California home at 6:45 p.m. PDT on April 11, 2013, surrounded by family and friends. Rest in Peace, Mr. Winters. Winters was born in Dayton, Ohio, the son of Alice Kilgore (née Rodgers), a radio personality, and Jonathan Harshman Winters II, an investment broker. He was a descendant of Valentine Winters, founder of the Winters National Bank in Dayton, Ohio (now part of JP Morgan Chase). Of English and Scots-Irish and Native American ancestry, Winters had described his father as an alcoholic who had trouble holding a job. When he was seven, his parents separated, and Winters' mother took him to Springfield, Ohio to live with his maternal grandmother. At age 17, Winters quit high school and joined the United States Marine Corps and served two and a half years in the Pacific Theater during World War II. Upon his return he attended Kenyon College. He later studied cartooning at Dayton Art Institute, where he met Eileen Schauder, whom he married in 1948. Winters recorded many classic comedy albums for the Verve Records label, starting in 1960. Probably the best-known of his characters from this period is Maude Frickert, the seemingly sweet old lady with the barbed tongue. He was a favorite of Jack Paar and appeared frequently on his television programs, even going so far as to impersonate then-U.S. President John F. Kennedy over the phone as a prank on Paar. 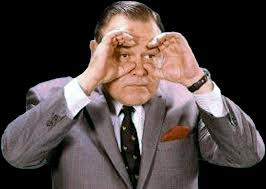 In addition, he would often appear on The Tonight Show Starring Johnny Carson, usually in the guise of some character. Carson often did not know what Winters had planned and usually had to tease out the character's back story during a pretend interview. Carson invented a character called "Aunt Blabby" that was an impression of Maude Frickert. Winters has appeared in nearly 50 movies and several television shows, including particularly notable roles in the film It's a Mad, Mad, Mad, Mad World and in the dual roles of Henry Glenworthy and his dark, scheming brother, the Rev. 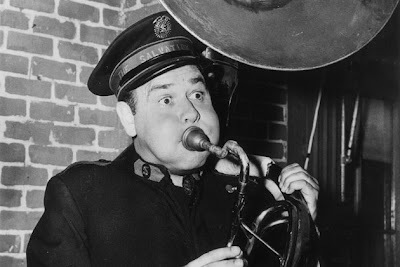 Wilbur Glenworthy, in the film adaptation of Evelyn Waugh's The Loved One. Fellow comedians who starred with him in Mad World, such as Arnold Stang, claimed that in the long periods while they waited between scenes, Winters would entertain them for hours in their trailer by becoming any character that they would suggest to him. He also appeared in Viva Max! (1970) and The Russians Are Coming, The Russians Are Coming (1966).